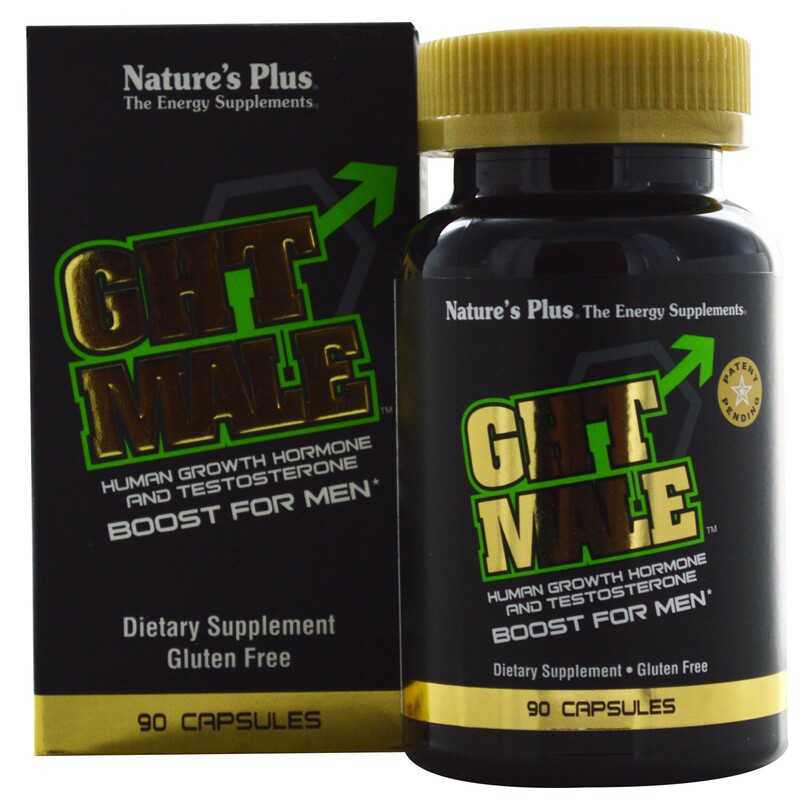 Nature's Plus GHT Male is the ultimate testosterone and HGH boosting supplement for total body vitality! (Malus pumila) extracts (supplying approx. Capsule: Gelatin, water, natural color. Cellulose, magnesium stearate. 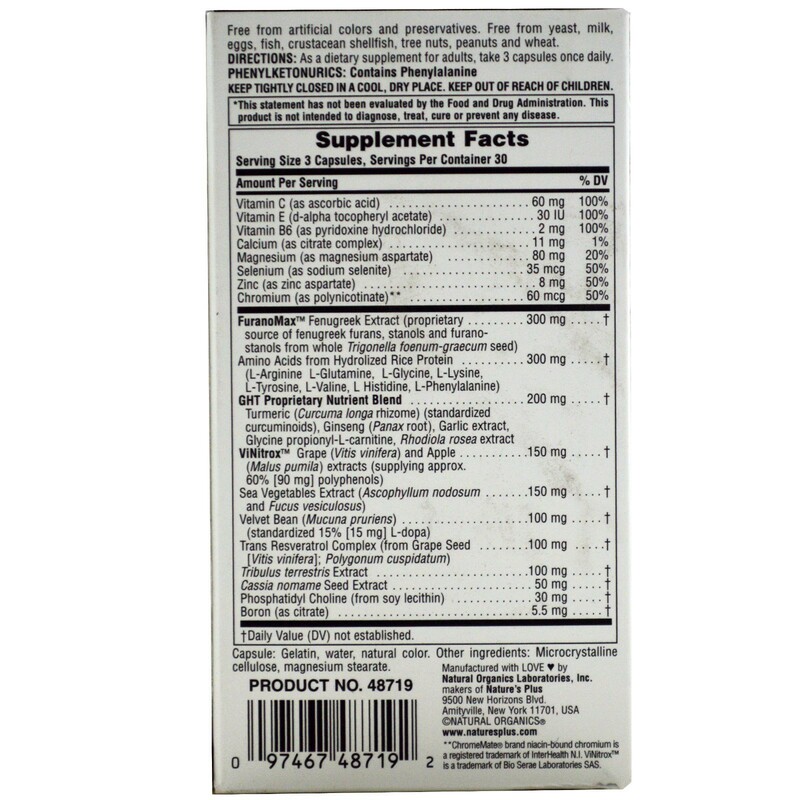 Discover the revitalizing, synergistic benefits of naturally improving both testosterone and HGH levels together. Testosterone and HGH work via different physiological pathways, but their combined effects are even greater than one would expect from their sum! 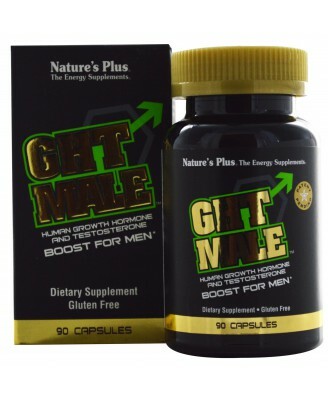 Nature's Plus GHT Male is the ultimate testosterone and HGH boosting supplement for total body vitality!